Courtesy of Keller Williams GR East, Bridget A Eklund. Welcome to 458 E Fulton. 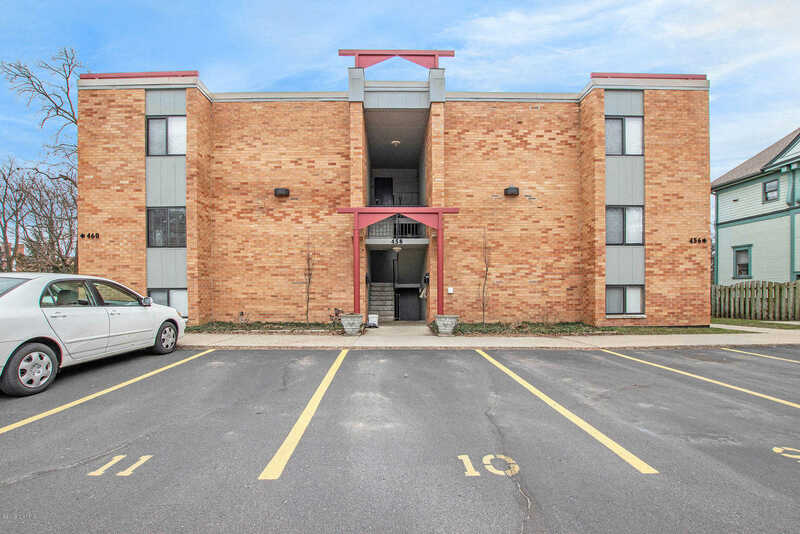 This boutique condo is ideally located in the Heritage Hill and walkable to Downtown GR, Medical Mile, Uptown, Fulton Street Farmers Market, Cherry Street, and Wealthy Street. Updated kitchen features granite countertops, eating area, and newer appliances. The spacious living room opens up to private covered balcony perfect for summer guests. Large master bedroom with private bath (dual vanity) and walk-in closet. Second bedroom with walk-in, and another full bathroom. Stackable washer and dryer are included. Association dues include heat, water, sewer, trash, lawn, snow, building maintenance. Two parking spots included with this condo!